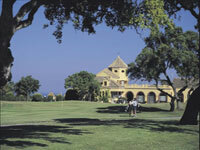 Spanish Open to be held at the San Roque Club This years Spanish open is to take place at the San Roque club in Cadiz province.The superb location and a prime spot on the European tour calendar should ensure that the event attracts many of Europes star players. Th e competition is on the PGA European calendar and dates back to 1912. Th is event brings together most of the top European professional players, competing for prize money of 1,650,000. The event will take place between the 27-30 April. Shanghai kicks off 2007 Euro tour The five million pound champions tournament in Shanghai will mark the start of the 2007 European tour.Th e tournament, in only its second year, will be co-sanctioned by the European, Asian and sunshine tours as well as the PGA tour of Australasia. 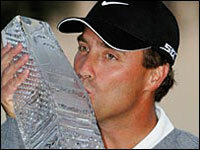 David Howell won the inaugural event, the Englishman beating world number one Tiger Woods by three shots. Th is years competition will be held at the Sheshan international golf club from 9-12 of November. Van de Velde holds on in Madeira Frances Jean Van de Velde held off Lee Slattery of England on the back nine to seal his fi rst European tour title in 13 years at the Madeira island open. Th e Frenchman, two strokes clear at the start of play, led by fi ve shots at one stage and looked set for an easy win. However, a double bogey at the last threatened to scupper his hopes, only for him to seal victory by one shot. Van de Velde insisted he never feared a repeat of his 1999 open disaster, despite his last hole nightmare. "I won't play for a while," Woods told reporters in Wellington. Tiger Woods is to take an indefinite break from golf as his father Earl continues his battle against cancer. 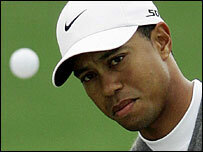 The world number one did not put a timeframe on his return but said he would play at the US Open in June. Ames charges to Sawgrass victory Canadas Steven Ames strolled to victory at the players championship at Sawgrass last month. Th e Trinidad born star, lead overnight and cruised to a 67 for 14 under to beat Retief Goosen by six shots, in golf s unoffi cial fi fth major. South Africas Goosen carded 69 to climb two clear of Americas Pat Perez and Jim Furyk, Columbian Camilo Villegas and Swede Henrik Stenson. Send answers with your address by e-mail to editor@webexpressguide.com by 5th May 2006. The first correct answer to be drawn will be the winner of a voucher for a free golf lesson for winning entrant or nominee. Opponents ball knocked away by player after concession, moves players ball. In singles match play, player A concedes player Bs next stroke and knocks Bs ball away. Bs ball, in motion, moves As ball; what is the ruling? editor@webexpressguide.com or by any other written method to reach us by 5th May. You must provide your address. 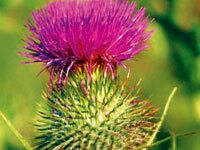 The first correct answer to be drawn will be the winner of a voucher for a free 1/2 hr. golf lesson for the winning entrant or nominee. Last Month's correct answer was: NO; water visible through undue pressure with the foot, is not considered casual water.